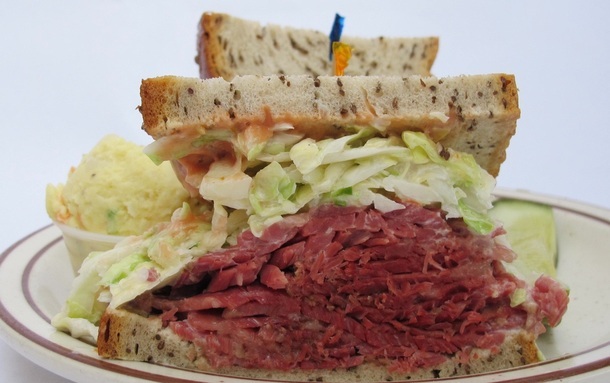 As a recent post noted, one of the few deli options near UCLA – Junior’s on Westwood Blvd. near Pico – as about to close. The original story indicated that the closure was due to a rent hike. But apparently the landlord doesn’t want to be the villain and says the true culprits are the owners of Junior’s who inherited the business and are not operating it effectively. In any event, no one is saying it isn’t closing. All we can do is look on with a rye sense of humor.